For bibliophiles, having a home library is a necessity. Being able to curl up with a mug of tea and a good book, or lay back and relax while listening to an audiobook, is the perfect way to relax. If you love books, here are several design suggestions to consider to create your ultimate home library. Will the library be strictly for reading, or will you also be listening to the occasional audiobook? If you will be listening to audio books, will you hear them on your smartphone, tablet, or laptop? Are you going to be sharing the space with someone else who may be doing other hobbies such as knitting or putting models together? 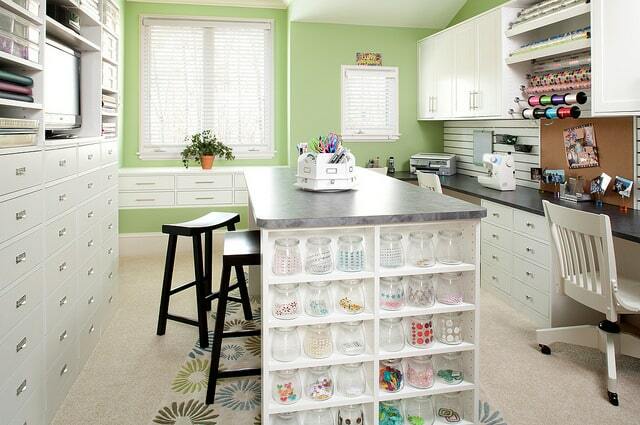 Answering these questions will allow you to figure out how to fully optimize the space. You will know whether you will have designated areas for sitting and reading or doing other crafts. You’ll also be able to figure out how to furnish the space correctly so all your books and other possessions fit nicely without making the room feel cluttered. Books come in all shapes, sizes, and types. From paperback and hardcover to graphic novels and e-readers, you’ll need to figure out how to stack and sort your items. Decide on whether you want built-in bookshelves or cabinets. 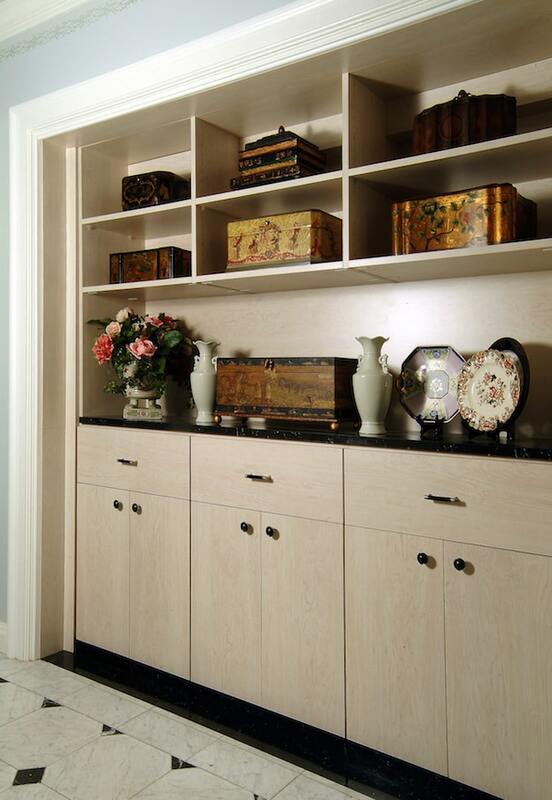 Cabinets are perfect for storing additional media units like speakers and small electronics. Another thing to consider is shelf space. Adjustable shelves may be more desirable than fixed shelving as they can change with your collection. You also want to make sure that the shelves are strong enough to resist sagging or warping from the combined weight of the books. In addition, decide on how tall you want your bookshelves to be. Do you want them all accessible within reach, or will you need a small footstool or even a ladder to reach books on higher shelves? 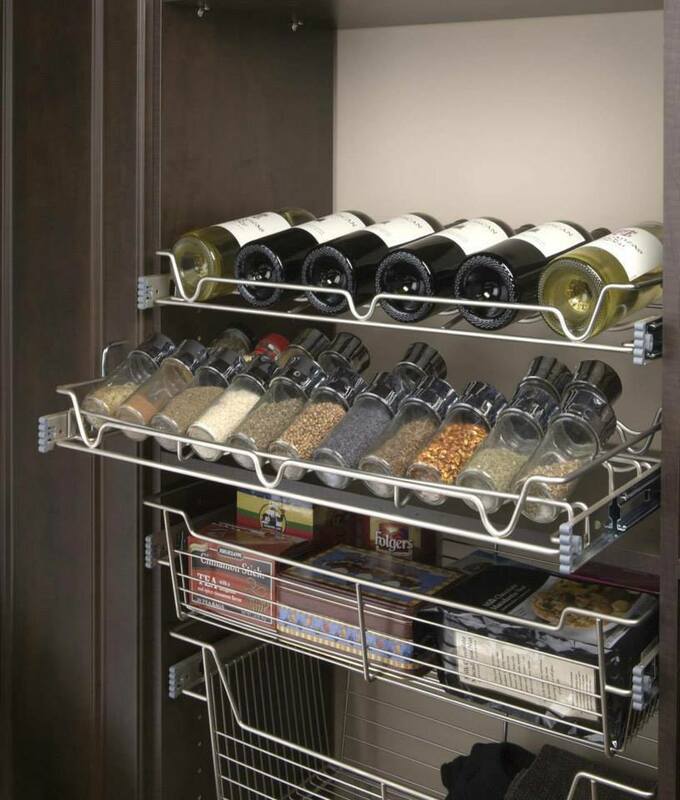 You can also decide whether you will utilize open shelving or cabinet doors. Glass and wood doors will help to minimize dust. A custom home furnishing manufacturer such as Closet & Storage Concepts can help you design the space so you have enough shelves and storage spaces for all of your books. Chairs, sofas, benches and even wall beds can turn a library into the most comfortable room in the house. You can build storage benches by windows to take advantage of natural light. 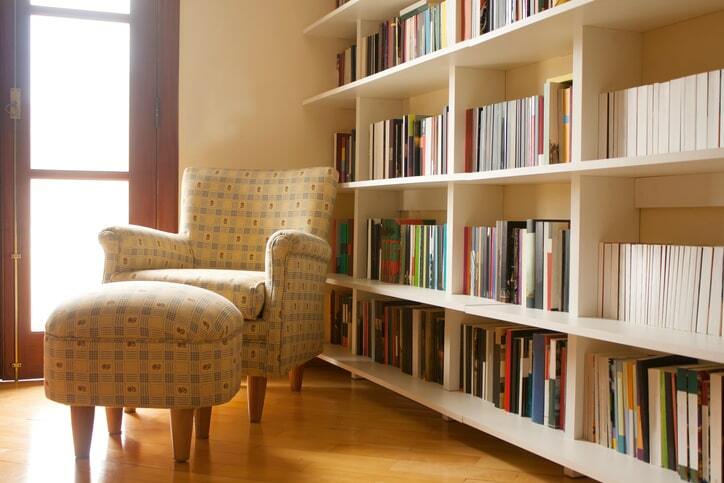 Individual chairs can sit near floor lamps and small tables so you can enjoy a warm beverage or snack while reading. Don’t forget larger furniture pieces. A nice sofa can allow you to cuddle up with the kids while you read bedtime stories together. Wall beds are perfect for you and guests alike. A headboard makes it easy to lay back, put on some headphones, and listen to an audiobook late into the night. With a spare room and some imagination, you can create the ultimate library room. So grab a book and relax in this functional and relaxing space. Get started by contacting your local designer. Our team will help you maximize your space whether you’re looking for a wall bed, custom wall units, or other home storage furnishings. Photos: © iStock/CarlaNichiata. © Closet & Storage Concepts.